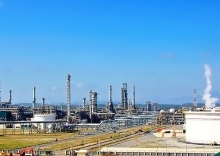 The Vietnamese Government is committed to assisting energy companies in developing the market and providing energy-saving and environmentally-friendly solutions in the region and in the world, according to Minister of Industry and Trade Tran Tuan Anh. The official made his statement while attending the annual Berlin Energy Transition Dialogue on April 9. Co-organized by the German Federal Foreign Office and Federal Ministry for Economic Affairs and Energy since 2015, this year’s event has attracted over 2,000 delegates from more than 90 countries, including 50 ministers and state secretaries and over 100 speakers. At the debate session on the future of electricity plants, the Vietnamese minister introduced Vietnam’s policy to boost its national energy security, particularly regarding renewable power, as well as the country’s role in connecting regional energy networks. Anh stated that Vietnam has always complied with the requirements of the energy transition process and applied green power in a bid to ensure its commitments to protecting the environment as well as promoting energy safety and sustainable economic growth. The same day, the official had a meeting with Klaus Ernst, Chairman of the Committee on Economic Affairs and Energy under the Parliament of the Federal Republic of Germany. Both host and guest discussed Vietnam-Germany ties, as well as the ratification of the EU-Vietnam Free Trade Agreement and the Investment Protection Agreement. Anh said he hopes his host would continue supporting the early signing and ratification of the two pacts. The European Council is expected to review the agreements following the next European Parliament election in May this year. For his part, Ernst said he hopes for close engagement between Vietnam and Germany in the renewable energy sector. 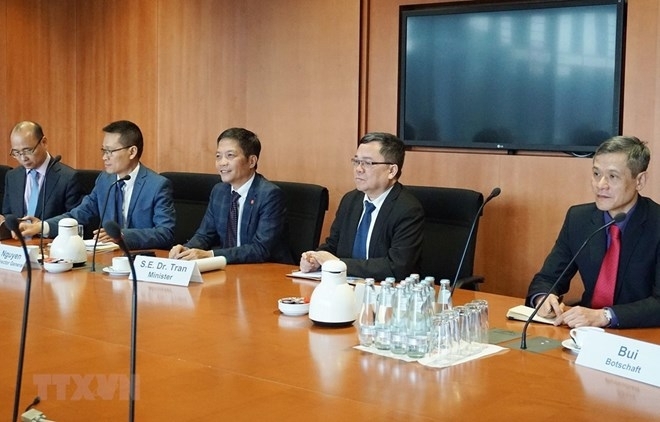 Agreeing with the German official, Minister Tuan Anh said that the Vietnamese Government pays significant attention to the field, adding that the country has great potential for developing solar and wind power. Vietnam would benefit from Germany’s assistance in electricity storage and saving technologies, underlined Minister Tuan Anh.